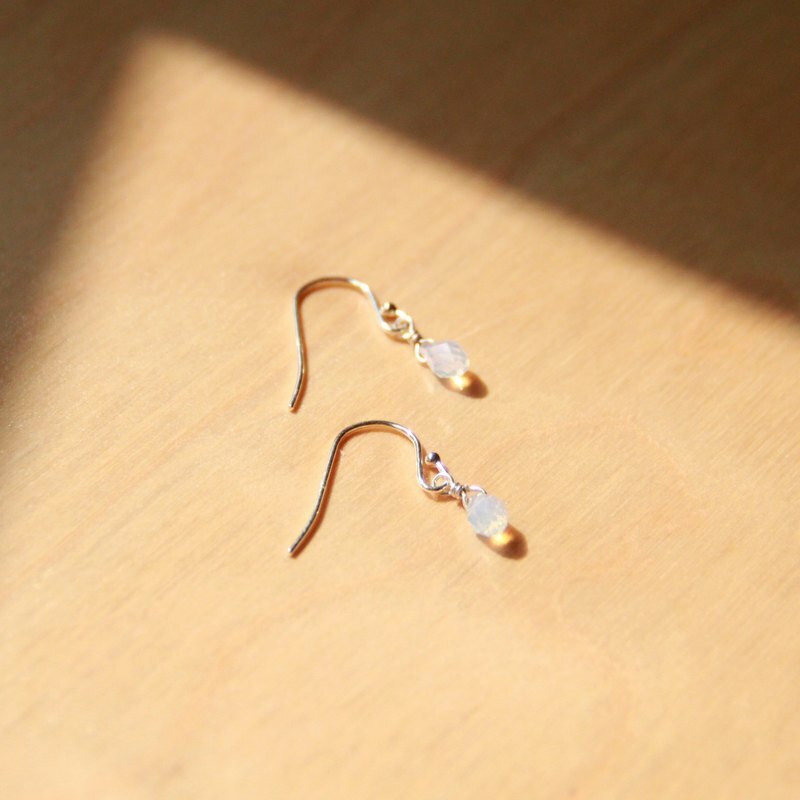 **【Classic Series ▪ Swarovski White Opal ▪ Handmade 925 sterling silver earrings | opal earrings | accessories】** The beginning of Spring, when warmth was first felt in the year, hot and cold air collides. As the sun sets light shine through the elegance of the opal reflecting the intelligence in you. https://c2.staticflickr.com/2/1506/25393936544_c2c1def4aa_c.jpg https://c2.staticflickr.com/2/1638/25725994610_7ac11bfd71_c.jpg Color of the Swarovski White Opal, imagionation happens in the swinging opaqueness. https://c2.staticflickr.com/2/1521/25905941692_faa3c263af_c.jpg https://c2.staticflickr.com/2/1649/25397286133_467dfa61c4_c.jpg 【 ▪ Materials】 925 sterling silver Swarovski White Opal 【 ▪ Size and Scale 】 Comes in a pair Pendant sizing 0.8 x 0.8cm 【 ▪ Package 】 Including airtight bag, maintenance guide, brand card, name card 【 ▪ About Gaze Design 】 https://c2.staticflickr.com/2/1709/24787720006_67ca7291fb_b.jpg Gaze 「Bring all the beautiful things into your view.」 After all the filing and polishing elegant silverware were born. All my effort on the jewellers bench are for the finest artwork. A girl who didn't dare to use a firework had seen the pure beauty of silver in flames. Silver jewelry filed and shaped all by hand. 【 ▪ Customer Notice 】 Every gaze accessories are 100% handmade, there might be some subtle disparity compared to the pictures. The picture is indicative only, the actual item may differ. Please contact us if in doubt, place your order after fully confirmation, thank you very much. 【 ▪ Usage and Maintenance 】 Tarnishing may happen under natural circumstances, simply polish your article with a silver polising cloth. Prevent exposure to air, store in airtight bags if not wearing. Avoid contact with substances which contain sulfur. Avoid wearing to a hotspring. Pure silver is soft, remove when doing chores to prevent scratches. Please contact us if you have any questions. Manufactured/Produced by Gaze Handmade Jewelry, Taiwan.